Ideal for use in bathrooms, utility areas and student accommodation. 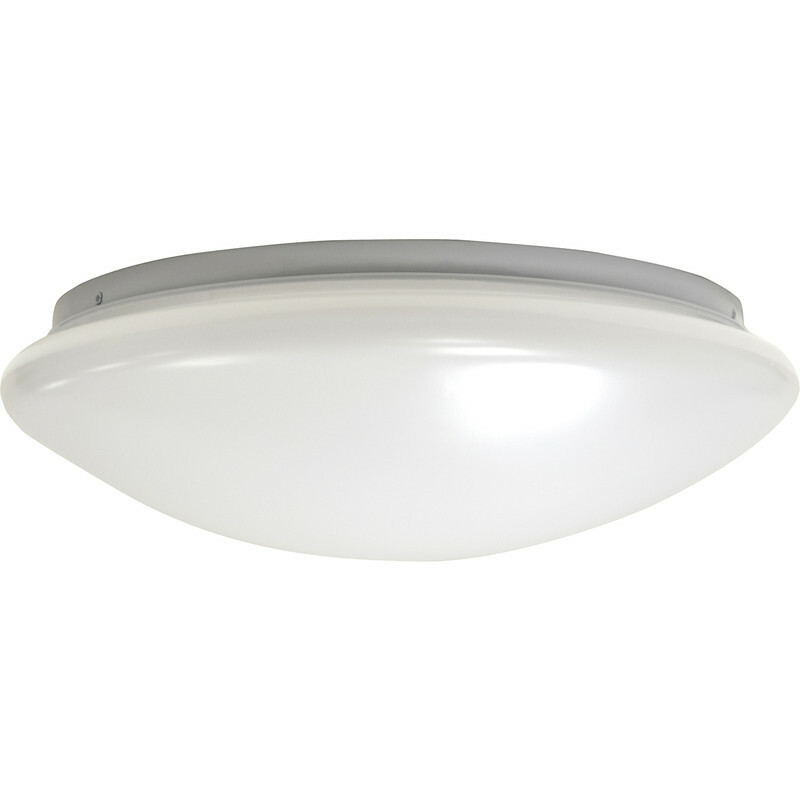 LED IP44 Fern Howard President Light Fitting 18W 390mm x 110mm 1400lm is rated 4.5 out of 5 by 11. Rated 4 out of 5 by Dela from Wire Shadow Seems to be good so far, however,there was a shadow cast by an internal wire that is not fixed back to the metal base. Need to improve design here. Rated 5 out of 5 by Mossey58 from Great light I purchased this to replace a similar round lamp but with a tube, the new one lights up straight away and give a very good light. Rated 5 out of 5 by Izzzzzzzy from Bright light Great fitting, with superb bright white LED luminaries. Gives an amazing light and very even with diffuser cover on. Really do like the “choc block” cable connector with “push in and grip” feature. Small niggle, three fixing holes are around the very outside circumference of the base plate. Not very convenient for joist mounting, could do with two additional “in line” holes like conventional fittings. Can’t comment on reliability yet with 35,000 hrs rating ! !